The Toyota Camry has been one of the best selling cars in America for the past two decades. High-horsepower and impressive speed, on the the other hand, are not synonymous with the car. 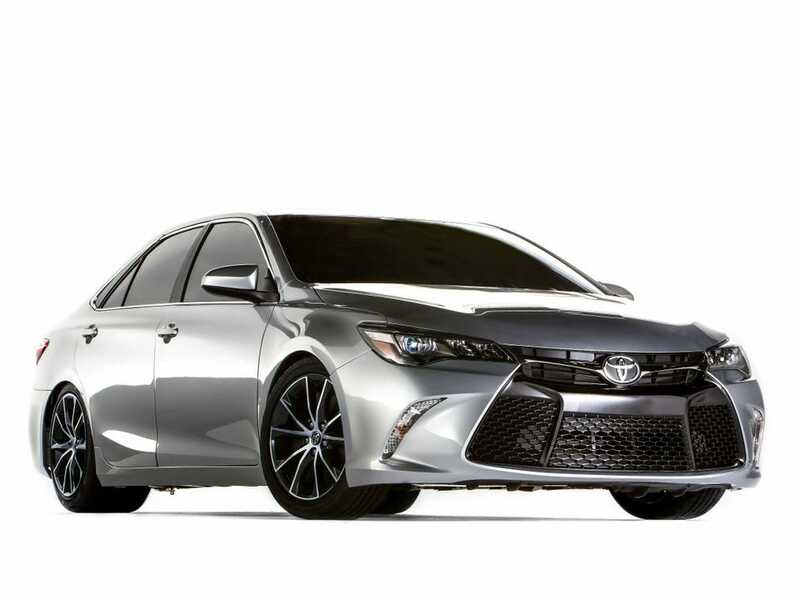 That is until you encounter the 2015 Toyota Camry XSE, part of Toyota’s contingent at this year’s Specialty Equipment Market Association (SEMA) Show in Las Vegas. The “sleeper” dragster was built by a team of specialists at Motorsports Technical Center over the span of 11 weeks. From the outside, the XSE is a seemingly average Camry — no different than what you might see in suburban drive ways and mall parking lots. However, when the bodywork of the show car is lifted up, the inner-workings of a fire-breathing dragster are revealed. Lurking beneath is a supercharged 5.7 liter V8 — a highly modified Toyota Tundra-sourced truck engine that produces more than 850 hp. With the monster motor, the XSE is capable of covering a quarter-mile in 9.8 seconds. To put that into perspective , a $US1.3 million McLaren P1 hypercar covers the same distance in 9.9 seconds, while the $US4 million Lamborghini Veneno makes the quarter-mile run in 10.6 seconds. “This Camry is the ultimate sleeper — it definitely has the element of surprise on its side and more than enough muscle to drop the hammer on any unsuspecting car that pulls up,” said Motorsports Technical Center director Chuck Wade.